Install the WordPress Database Backup plugin. Figure out from your hosting provider, how to access your account through SSH, and have your username and password ready. Go to your WordPress admin panel, and find Backup under Tools in your admin panel. This lets you access the plugin options. Select the tables that you want to backup. The plugin automatically selects the core tables and lets you choose any plugin tables that you want to backup. Under backup options select “Download to your computer”, and click “Backup Now”. Depending on your DB size and the number of plugins you have, this process may take a while, but the plugin shows you a nice progress bar. Download the generated file and save in a safe location. The next thing to do is to backup your files. Normally, you may only want to backup your uploads and themes directory, but I prefer to simply backup the entire blog. Its only an extra few MBs, and this way you can simply restore your blog in one shot, if needed. In order to make this part easy (compared to using FTP to get to your files), I recommend the use of SSH. Fire up putty (or any other tool or console to get SSH access on your server). Note that different hosting providers have different rules for allowing SSH access. I had to have mine enabled by sending a photo ID proof to the support. I use BlueHost as my provider. Once you have used SSH to login to your account, you should change your directory to one level above where your blog is situated. This is usually something like public_html, or something similar. Of course replace public_html by the name of your folder. What this command essentially does is that it takes the entire folder, and packages it in a tar file, and then compresses it using gzip into one compressed version of your entire file system for your blog. Now simply download this file over, and save it where you saved the database backup. And that’s it, you are done. Once you get the hang of it, it’s a very quick and painless process. See how you go and don’t forget to give us some feedback! Good luck. In WordPress, Widgets are used to customize content that can be displayed on all the pages of the blog. Widgets are quite often used for things like RSS links or just for categories. Most times Widgets are used to display relevant things on the sidebar like ads and graphics. 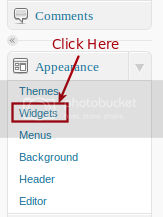 How do we add and manage widgets in WordPress? Click on Widgets option under Appearance menu. You will enter in Widgets panel area where you can find many useful widgets. When you install some Themes and Plugins you may get some extra Widgets related to that particular theme design. Widgets are very easy to handle. Just drag and drop a widget wherever you want. Mostly widgets are added in the sidebar of the theme. So I hope you learned about widgets. Please let us know how this series is going. When beginning my blogging career, many bloggers started out by using Blogger.com. But after a while, they discovered that the best platform to use is always WordPress. Here I am with the next article to my ‘Be A Blogger’ series which will be focus on publishing articles using WordPress. This user guide is really for those who are already familiar with the Blogger.com interface and find it a little difficult to getting their head around the new WordPress dashboard. Though I am giving you a brief introduction by comparing WordPress with the Blogger.com platform, if you don’t have any idea about it – no problem! Just follow this then you will be familiar. How to login into WordPress Dashboard? In most blogs you will not see a link to sign-in to the dashboard. 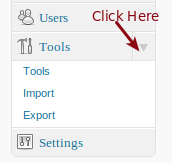 You can directly access the login interface by adding ‘wp-admin’ to your URL. 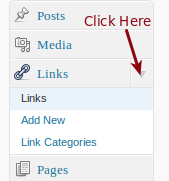 When you click on the Posts menu, you will find a sub menu with options for showing you all posts on the blog, writing a new post and additional links to create Categories and Post Tags. You can upload videos, audio files and images by using the Media menu. Click on the menu and you will get the two sub-menus like Library and Add New. Here you can add media files and explore them. You can also find the URL of uploaded files here. Stay tuned in our website for the upcoming article about: Managing Media with WordPress. A blogger usually likes to add links to websites and blogs maintained by friends and mentors. This can also be an indication for visitors on your blog to check out which websites or blogs you frequently visit. If you want to add some external links of other websites that you like, you can add them from the Links menu. Just like posts can be organized into categories you can also create categories for your external links. With Blogger.com we can create pages which are static on the blog. This is very useful to show information like ‘About Us‘ or ‘Contact Us‘ on a blog. Similarly WordPress also allows us to create pages which are static. You might already know how to go about writing a post in WordPress. In the same way you can create pages and write content on it. You can not create Categories and Tags for Pages like you can with Posts. Stay tuned in our website for the upcoming article about: Writing and Editing a Page with WordPress for full details regarding Pages. You can find all the comments in Comments menu. It is one of the options for moderating your comments. It gives you many options with which a user can approve, move to trash, edit, add to spam and also most importantly reply to all the comments. 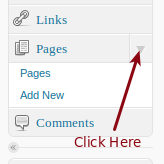 Just like we can not allow comments on a particular post or page we can also do the same with WordPress. Stay tuned in our website for the upcoming article about: Comment Moderation and Settings with WordPress. Click on the Appearance menu and you will get many options for styling and providing some extra functionality to your blog. 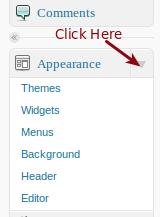 Using this menu you can change the theme of your blog, create custom menu for pages, categories and links. Stay tuned in our website for the upcoming article about: Managing themes with WordPress. Change of background or header of the theme can also be done from this menu. The Editor option allows the user to edit your theme files (PHP and CSS). The background and header can be changed with only the default themes available with WordPress. Stay tuned in our website for the upcoming article about: Managing Widgets in WordPress. 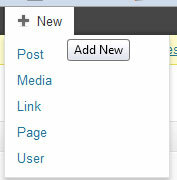 For more details on Menus Stay tuned in our website for the upcoming article about: How to add Menus in WordPress. 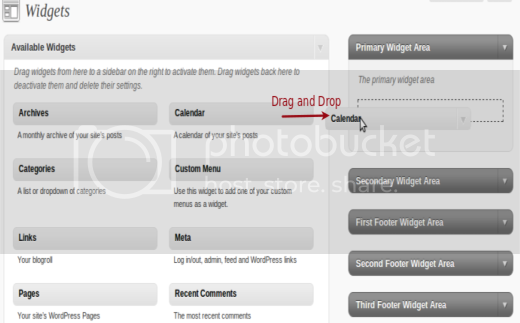 With Widget option you can add extra functionality to your blog. 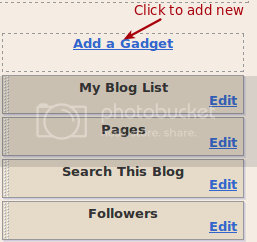 (widgets are similar to gadgets in Blogger.com). 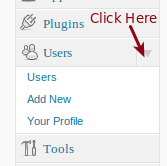 Plugins menu is very useful in WordPress. It gives more flexibility and also functionality to your blog. With this menu a user can add, delete, activate or deactivate plugins. Plugins at first glance is what really sets WordPress apart from Blogger.com as it has no options for adding plugins. Some plugins might give you new widgets or extra setting options in the dashboard itself. Stay tuned in our website for the upcoming article about: Managing Plugins in WordPress. Like the Blogger.com has a Permission menu in which you can manage users and their roles. With WordPress we have the Users option with which we can add, remove and mange users. Stay tuned in our website for the upcoming article about: Managing Users in WordPress for complete details. In Tools Menu you can see import and export options. With these options you can import a blog which uses WordPress just like the tools in Blogger.com. 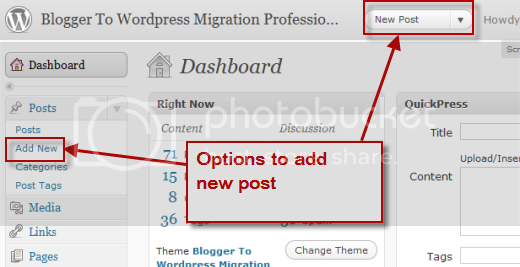 Additionally these options can be used for moving a blog from Blogger.com to WordPress. Stay tuned in our website for the upcoming article about: All about Tools in WordPress. 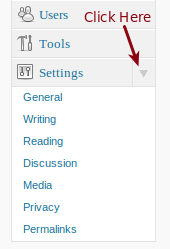 Settings menu is the most useful option in WordPress. You can tweak the required settings for the above discussed points for your blog like “Site Title & Description“, “Email address”, “Date & Time format”, “Post Count on front page”, “Default Category”, “Comments Moderation”, “Uploaded Media”, “Blog Privacy”, etc. Stay tuned in our website for the upcoming article about:Managing Settings with WordPress. With this drop-down you can directly be taken to the respective menu. This is a great way to jump off to writing a new post, creating new pages, looking up drafts and comments etc. Hope this article has increased your familiarity with WordPress functionality and features. In this article I tried to give you a basic introduction to the WordPress Dashboard and its features. In the upcoming ‘Be A Blogger Series’ articles, I will focus on all the sections that I have highlighted throughout the article in more detail. Till then just play around and get a feel for the dashboard. You will gain lots of knowledge by just trying it by yourself. Please let me know how you go through making comments about this article. Best of luck! When trying to display HTML, php or any other code in WordPress blog posts, it will be quite difficult to display code in WordPress as it (WordPress) executes the code instead of displaying it. So rather than seeing the code blocks written there, you’ll see the implementation of your code executed in the post. Even <code> or <tt> tags are not going to help you to display the exact code. So, how can we show code in the posts? Well, the answer is in using a proper plugin. There are many plug-ins available which can help you but I am going to introduce just one right now. I will be writing a blog post about some of the Code highlighting plugins available in future which will be described with there distinctive features. I am introducing WP-Syntax. This plug-in displays the code instead of executing in WordPress posts. And it also highlights the code with various colors as you see in your code editor. It is very easy to install and use like any other plugins. Upload wp-syntax.zip to your WordPress plugins directory, usually wp-content/plugins/ and unzip the file. It will create a wp-content/plugins/wp-syntax/ directory. Create a post/page that contains a code snippet following the proper usage syntax. LANGUAGE is your coding language. The line attribute is optional. Don’t worry if you find it is difficult to use the above <pre lang="LANGUAGE" line="1"> and </pre> method while posting. 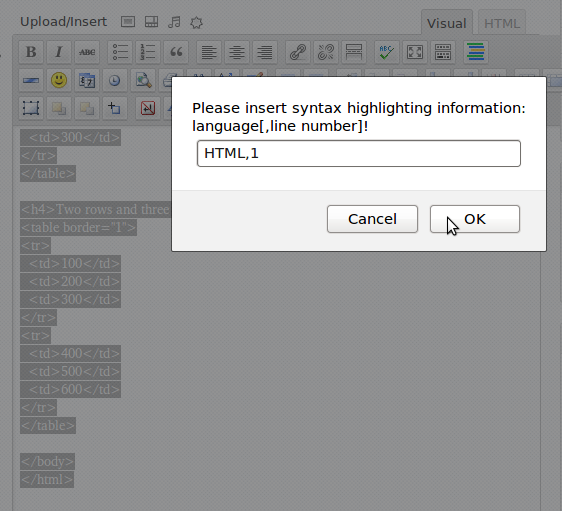 There is another plug-in called WP-Syntax Editor Integration Plugin. This plug-in adds a new button to both Visual and HTML editors in wordpress. After installing the above plug-in, go to New post area and select the code that you want to be highlighted. Then press the pre (Wp-Syntax) button in the editor and enter the coding language. That’s all! This plug-in will do the rest for you! PS: WP-Syntax Editor Integration Plugin requires WP-Syntax plug-in to work. 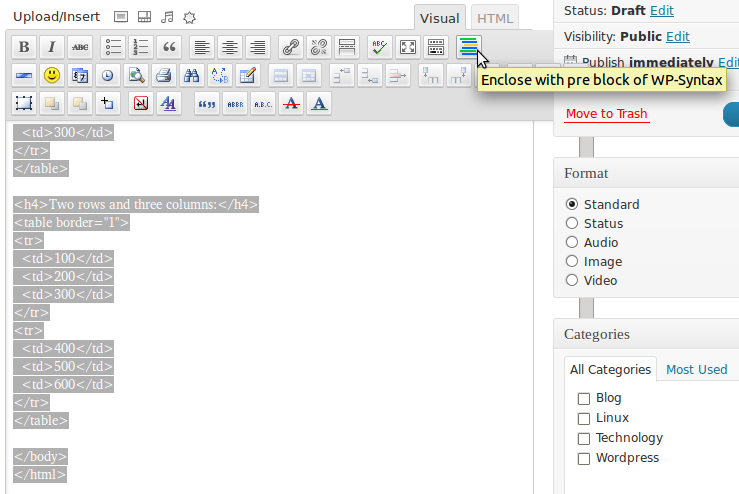 It is just an extension for WP-Syntax plug-in to add a pre (Wp-Syntax) button in visual and HTML editor. Congratulations! you have done it. Follow us on twitter @OfficialTeronga . For regular post updates subscribe to our Feed Burner Newsletter. Give your feedback by commenting. For a blogger, the most important part of running a blog (s) is to write quality content. This content eventually makes an article published as posts on a blog. In this tutorial, I will briefly discuss how writing and editing is done on Blogger.com and explain in detail how we can go about it using WordPress. If you are used to writing posts on Blogger.com, then you might recognize the image below. 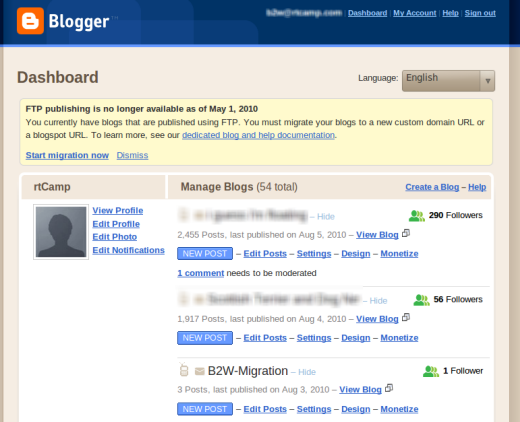 Once we are at the Blogger.com dashboard, we can easily start writing a new post by clicking on the Posting option. To start with, you can look at the image below for a quick idea on how to create a new post with WordPress. The image below shows you two options to create a new post. Now once you click on any of the two options, you will be at the Add New Post screen. This is pretty simple and has quite a few features which are similar to the Blogger.com layout for writing a post. How to write a post on WordPress? The screen below shows you where you can add the title of your post and also the content that follows. Adding Images, videos and other files can be managed using Media Library. To know more about media check out Managing Media with WordPress. With Blogger.com you might be using Labels to organize or bunch together posts on similar topics. 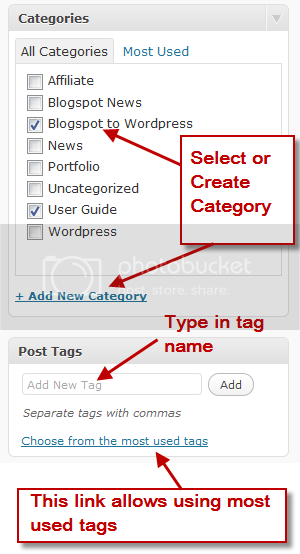 Similarly in WordPress we have Categories and Tags instead of Labels. Check out All about Categories and Tags. Once you write a post with WordPress you might want to link to other legacy blogs. 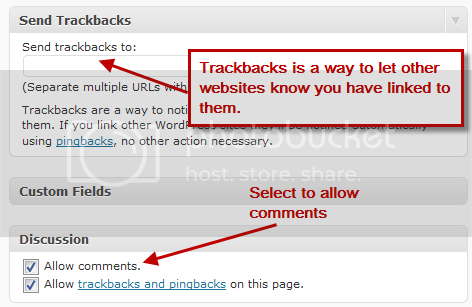 To let those blogs know that you have linked to them enter their URL in the ‘Send Trackbacks field’. Below that you will see the Discussion box. By default both options are selected (see image below) and this allows people to leave comments on your post along with allowing other blogs to send trackbacks to the particular post. How to Publish your Posts? Now that you are all done with writing your post you can go ahead and publish the post. If you want to schedule the post you just need to change the date. 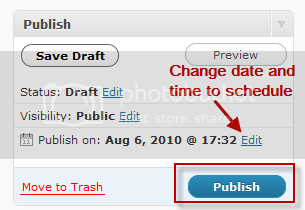 Alternately if you want to save your blog so that you can edit any time save the post as draft by clicking on Save Draft. WordPress has a major advantage over Blogger.com when it comes to editing Permalinks. Permalinks are generated according to WordPress slug. The post while being edited allows the user to change the permalink. Even after the post is published you can change the permalink but that it not desirable from SEO perspective. It might end up with a Page not found error to other pages which have been linked to the post. For more details check Understanding Permalinks and Slugs with WordPress in future post. Here is a short video which explains how to write a post on WordPress. There are many similarities editing posts with WordPress & Blogger.com . Some of them are editing in HTML, adding images and videos. 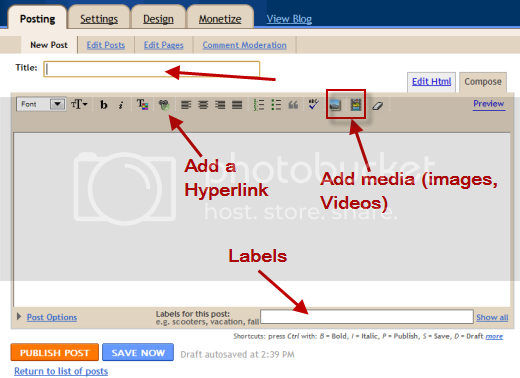 There are some changes like adding tags and categories instead of using labels in Blogger.com. The advantage you get while writing a post with WordPress as compared to Blogger.com is that you can change the permalink of the post.